City Press is increasingly receiving complaints from readers as illegal money lenders, or mashonisas, operate across the country and use threats to collect payment. They keep the customer’s bankcards and ID books as collateral, and charge interest rates so high that the borrower will most likely never be able to pay the loan off. “I am a victim of a loan shark. They are very aggressive if we don’t pay or if we miss a monthly payment. I cannot report them as they will come after my family. They are making thousands from us. If we borrow a mere R3 000, we end up paying back something like R60 000,” one reader wrote. In another case, a reader’s wife borrowed money from a local money lender, but the interest rate is so high that she cannot afford to pay off the loan. “The interest she is paying is 50% a month, so, on a loan of R1 500, she is paying an amount of R750 every month. Already, she has paid back R6 250 – but still owes more. My concern is that she has paid many times more than she borrowed and she still keeps paying. My kids are suffering because of this madness,” he wrote. In desperation, a father wrote to City Press because his son’s life is at risk. Aside from the threats of physical harm, it is illegal for loan sharks to keep people’s ID documents and bankcards. Another victim borrowed R7 000 from a loan shark and had to pay the interest of R3 500 by the end of the month. “Unfortunately, something came up and I could not make payment. He is now telling me I must give him my bank card and identity document so that he can be sure he will get his money,” the reader wrote. As these testimonies prove, if you borrow from a loan shark, they will hound you relentlessly as you struggle to meet their repayment terms. A mashonisa will do everything they can to ensure their clients are never able to pay off the loan, but just keep paying that 50% interest each month. This means that they generate huge amounts of income and feel secure because they have complete power over you. The first thing to know is that it is against the law for someone to lend you money if they are not registered with the National Credit Regulator (NCR). In 2015, amendments were made to the National Credit Act that require anyone who grants loans to be registered as a credit provider. Previously, someone could grant a loan without being registered as long as they had less than 100 credit agreements in place or lent less than a total of R500 000. However, loan sharks were abusing this provision and the amendments were introduced to close this loophole. Although it will be impossible to completely eradicate mashonisas, the law allows the NCR to investigate complaints and refer the perpetrator to the National Consumer Tribunal for prosecution. 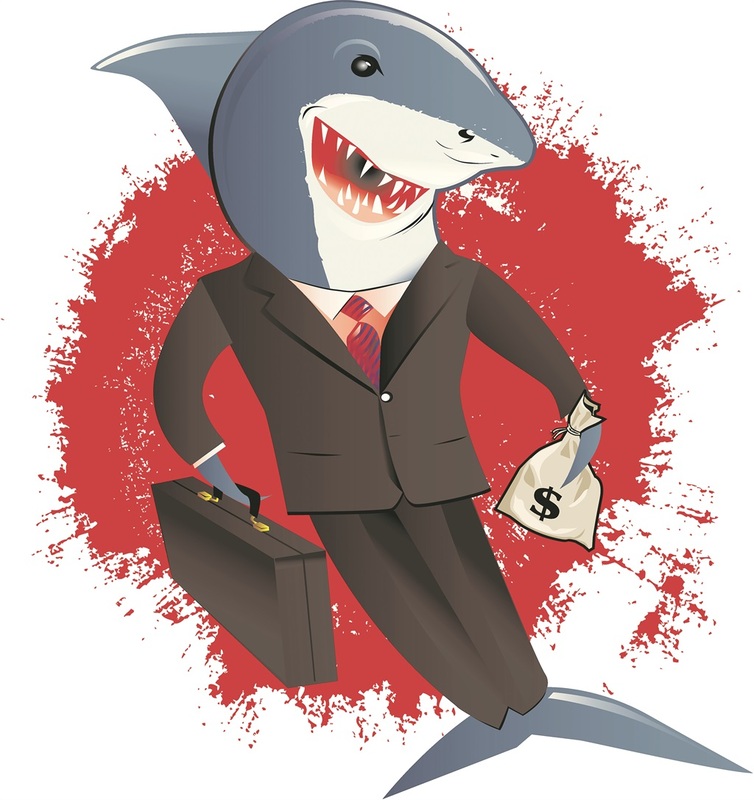 In a previous interview, Lesiba Mashapa, the company secretary at the NCR, told City Press that “one of the biggest challenges is that some communities themselves protect these loan sharks because, in this weakening economy, they offer the only access to credit”. Since November 11 2016, failure to register as a credit provider could result in the credit agreement being declared void because it is an unlawful agreement. The challenge, as Mashapa points out, is that loan sharks are either protected by the community, or people are too scared to report them because they fear for their lives. In the case of the father who wrote to us, he claimed that the local police were colluding with his son’s loan shark. In every communication from our readers, they have insisted on anonymity because they fear retribution. However, the NCR cannot investigate a mashonisa unless a formal complaint is made. In cases where a bankcard or ID documents are withheld, the NCR will involve the Specialised Commercial Crimes Unit, not officers at the local police station. “The issue of unregulated credit providers is an issue for the NCR. If we receive information, we investigate. We conduct raids in partnership with the SA Police Service and make arrests,” says Zikishe. Loan sharks prey on desperate people and their activities must be reported. If you wish to lodge a complaint, you need to complete Form 29. This is available on the website ncr.org.za. You can also get one by emailing complaints@ncr.org.za or by calling 011 554 2700. In the form, you will need to include your details as well as information relating to the loan shark. Zikishe says that the NCR aims to provide feedback on written enquiries within 10 working days. If you have not received a response within that time frame, you need to escalate the issue by contacting the call centre.